The key principles of osteopathy centre around the body moving in an integrated manner, improving efficiency and reducing stress on the joints. Osteopathy can help you move more efficiently by focusing on good joint mobility, alignment and a well balanced integral system. We will use a broad range of gentle hand-on techniques to help facilitate change and improve a whole range of musculo-skeletal conditions. Combine osteopathy with Pilates to help you secure and stabilise the change by improving neural patterning and functional movement pathways. 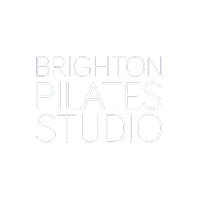 Our osteopaths are Pilates teachers and might suggest the use of guided Pilates during or immediately following treatment to helps to secure and stabilise the change. Your initial osteopathy consultation lasts for 60min. We will take your full history and discuss the current and previous concerns. We will focus on designing a treatment plan that will support your recovery. Your follow up osteopathy consultation lasts for 40min. We will focus on the designed treatment plan from your initial consultation. Please book an initial session if this is your first osteopathy session at the studio. I am very interested in exercises and posture and trained as a Pilates Instructor with APPI and Evolve Movement Education. I believe we all need to take our health in our own hands so I usually give simple exercises to my patients so they can continue to consolidate my treatment through gentle movements at home. You can book your appointment online or give us a call for a chat. We can advice you on the best treatment and plan of action. Can’t find the time you are looking for? Fill in this form or give us a call and we will try to find a time for you.